Want to live like Gwyneth Paltrow for a week? Now you can. Lonny, Goop, and the health and fitness website Well+Good are teaming up with celebrity workout guru Tracy Anderson (think Gwynnie, Madonna, and Kim Kardashian, to name a few) to bring you a sweeps you won't want to miss. 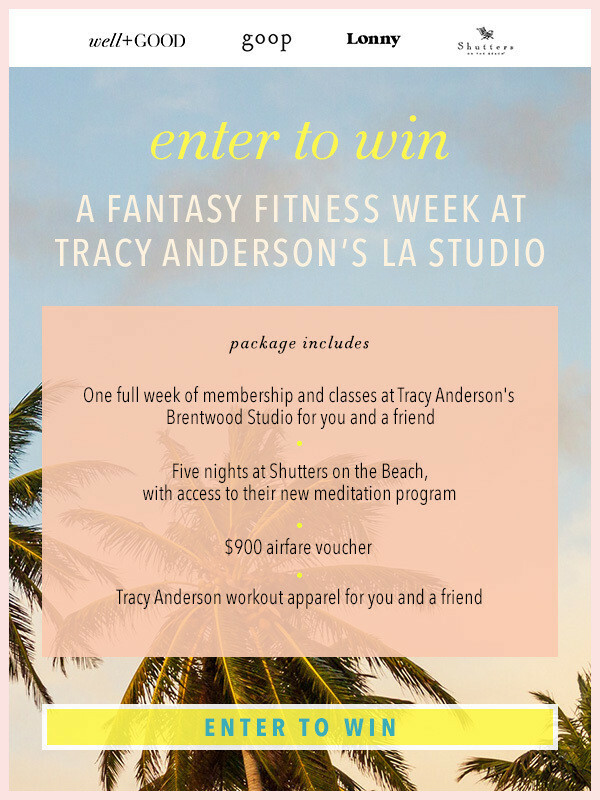 The package includes a luxurious five-night stay at Santa Monica's Shutters on the Beach, a week of classes at Anderson's Brentwood studio for you and a friend (plus workout apparel from her personal line), and a $900 airfare voucher. To enter, just click into this link—and hope for the best!